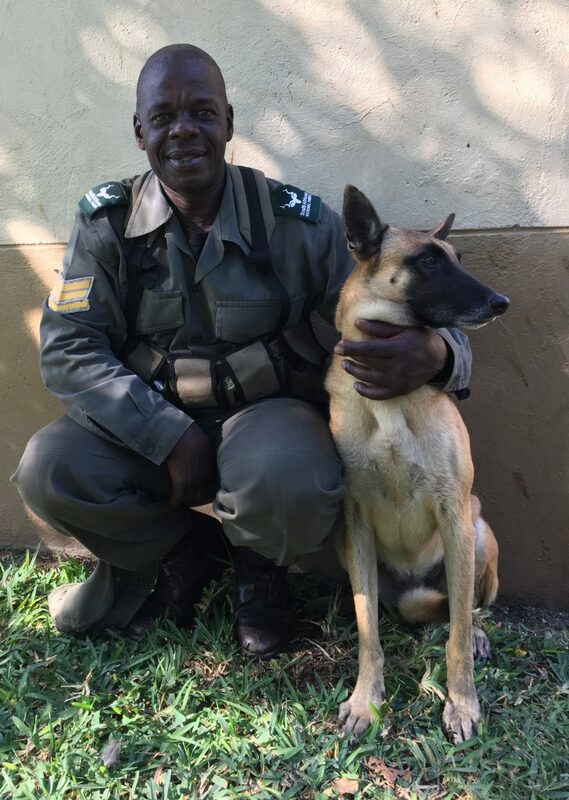 The Field Ranger K9 team, led by Lucky is involved actively in field ranger duties including rhino anti-poaching activities. He is one of an extremely dedicated team based at the Kingfisherspruit Ranger Station where they are responsible for 90,000ha of key rhino habitat. In our time the counter-poaching team took the exponential growth of Rhino poaching in the area from 70% pa to zero growth by end of 2015, and the losses where 20% less in 2016, very much because of the successes achieved in the JPZ, including the arrest of the Regional Ranger KNP Marula North through the excellent decision making of Lucky Ndlovu, despite situational intimidation. 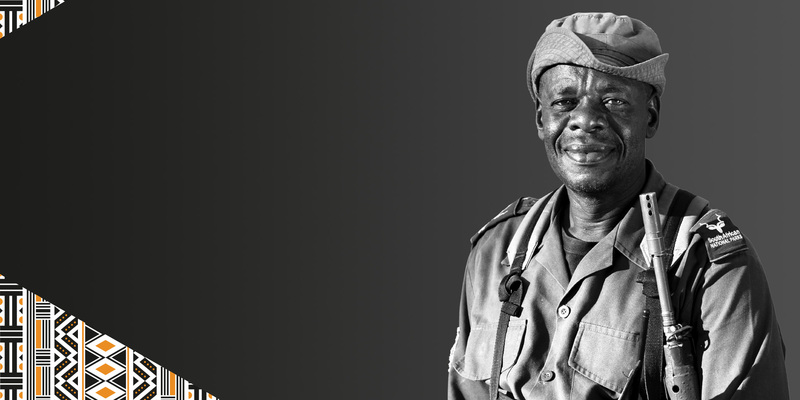 Rhino losses where easy to quantify, rhinos saved not so easy, however in retrospect the conduct of counter-poaching in the JPZ Section where Lucky Ndlovu is pivotal was reduced by much more than half in the past year (2016-17). On the 27th of July 2016, this team were responsible for the apprehension and arrest of a Regional Ranger and State Veterinary Technician in the KNP. Not only did the team show amazing strength of character and not give into pressure, but through their investigative skill they deduced where further evidence may be hidden and led a search of approximately 12km of road length until they found tracks that led to the discovery of a vital evidence in the case. Whilst the investigation is still open and no specifics can be mentioned, this arrest had the impact of curbing poaching tremendously in the area. The suspects are still in custody and awaiting trial. If you’ve been inspired by Lucky’s story, learn about another finalist, or let others know about the Tusk Awards.